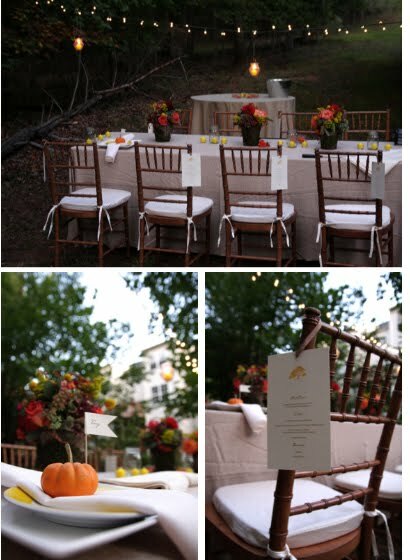 Love the details of this dinner party put together by Suann of simplesong. I think it's the perfect blend of rustic and elegant - the colors are simply gorgeous. I agreed! It seems like a perfect mix. The ambience and surrounding of this dinner party definitely added more twist to it too! Making it all wonderful with the nature elements which i love.